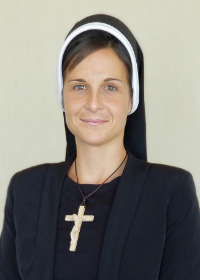 Sister Regina Marie Garofalo made her first profession of vows in 2018. She currently works at McGuire Memorial in New Brighton, Pennsylvania, which serves persons with intellectual and physical disabilities. 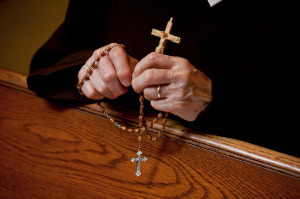 Read below as she describes how she began to discern a vocation as a Felician Sister. My mother wanted to be a religious sister before meeting my dad so the idea came up at different times throughout my life. It was never something I wanted for myself and although the thought surfaced a few times at different stages in my life, I simply pushed it aside and went on with what I was doing. Seven years ago a friend of mine invited me to join her for Adoration. She helped out an elderly woman and each evening of the First Friday of the month they went to Adoration together. When I entered the church and sat down in front of Jesus tears began to flow. They were tears of joy and an overwhelming sense of love. That night I felt God invite me to something deeper but I wasn’t sure what it was. A few months went by and in May of 2013 I was sitting in church waiting for Mass to begin one Sunday after work. 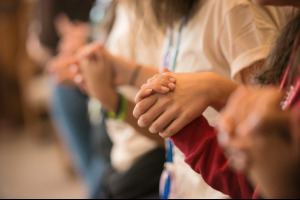 As I sat there again the tears began to flow and this time I knew what God was asking me – to be a religious sister. I was afraid and wasn’t sure I could or even wanted to do this, so once again I put the thought aside and continued on. Three months later, on August 31, 2013, at 30 years old, a Felician Sister walked into Rite Aid in the Pittsburgh Airport. I was immediately attracted to the beautiful crucifix around her neck, so just as she was ready to leave I pulled her aside and asked what she did. When she told me she was a Felician Sister I remember feeling disappointed, in a way, because I had already ruled that out for my life, but what I said in response to her was, “I have always thought about being a sister!” She gave me her business card and invited me to call and go visit them sometime. After 2 weeks I finally called, I went to join them for prayers and supper and here I am. I was attracted to the Felician Sisters because of the joy I experienced in their presence. I felt at home almost immediately and they were and still are the most welcoming and hospitable group of women I know. I was also attracted to their work ethic. My father raised my brothers and I with a strong work ethic and I recognized this in my sisters right away. This journey of the past 6 years has been one of great transformation for me. I have become an all-around better woman since meeting the Felician Sisters. 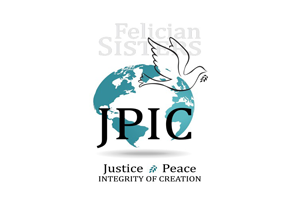 Difficulties arise as they do for everyone, but the spirit of the Felician Sisters is within me. I am free to minister to God’s people and to be a part of the joy that is always there no matter what.